Pep-Start 2-in-1 Exfoliating Cleanser. 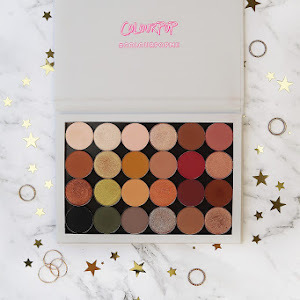 Clinique claim that this product "takes dead skin cells, oils and impurities out of the equation for a smooth finish and radiant glow." It is supposed to be non-drying and gentle enough for all skin types to use. It retails for $29 AUD. I liked this product after one use. I have normal-dry skin, so I find a lot of exfoliating products are too harsh to use more than once a week. This isn't the case with this gem, it really lives up to it's claims. I have been using it daily and it hasn't dried me out and it really does a really good job of getting my skin feeling clean. I'm not sure if this would be strong enough for people with really oily skin to see as huge results as I have, but I definitely think that this is a product worth trying out. 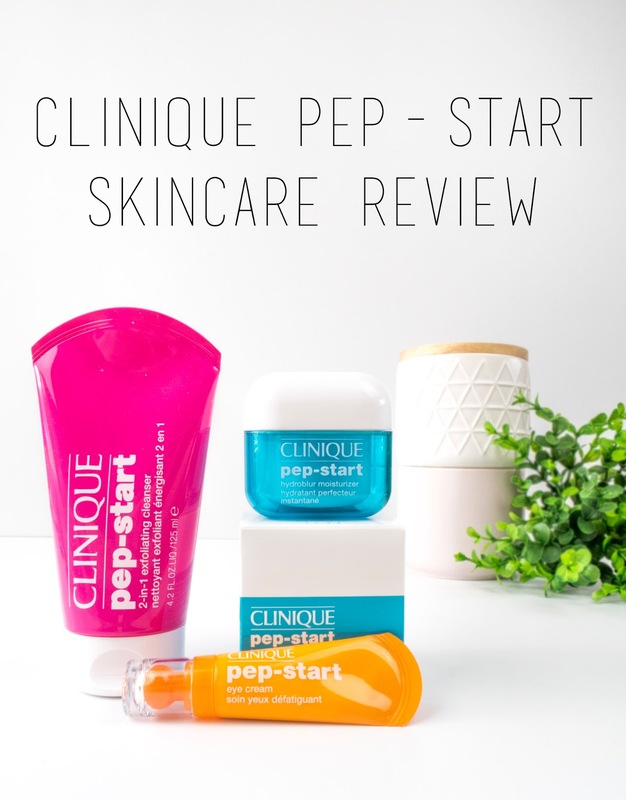 Pep-Start Hydroblur Moisturiser. On the Clinique website it is described as "Lightweight, 24/7 mattifier hydrates, instantly blurs imperfections and preps for makeup. All with a velvety finish." It retails for $42 AUD. I had read extremely mixed reviews of this product, so I was a little nervous to try it out. Most of the positive reviews I saw were from people with oily skin, which only made me more cautious. My first time trying this I only used a light amount and dabbed it into my skin in an effort to not build up too much product in one area. Even with a light-handed application, this just didn't work for me. I simply don't need to be using a primer/moisturiser that mattifies. It never sank into my skin and as a result my makeup looked awful throughout the day. Every time I touched my face I had little balls of foundation come off onto my finger. I tried it once more, this time applying it as I would a regular moisturiser and I was met with the same results. This may be a HG item for those that need oil-control, but it was a disaster for me. 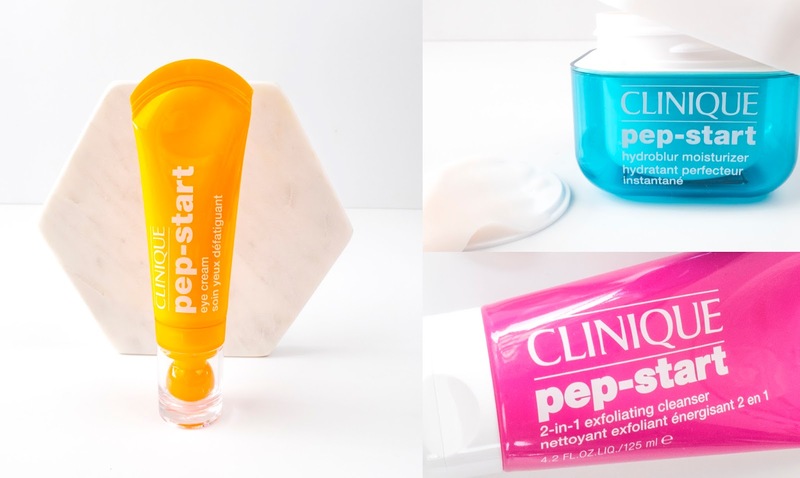 Pep-Start Eye Cream. The product is described as doing the following, "hydrates, brightens, perks you up. Its cool touch and de-puffing tip help keep eyes looking fresh. Peptide blend helps skin be more resilient. Preps for makeup, too." It retails for $40 AUD. This is a nice eye cream. 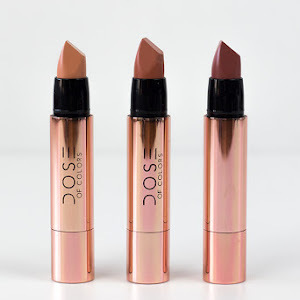 It softens the skin, boosts radiance and makes concealer not look heavy. It doesn't brighten my dark circles, but I don't expect anything to (they are genetically darker than a black hole), but it does lay a nice base for makeup so I will definitely continue to use it. 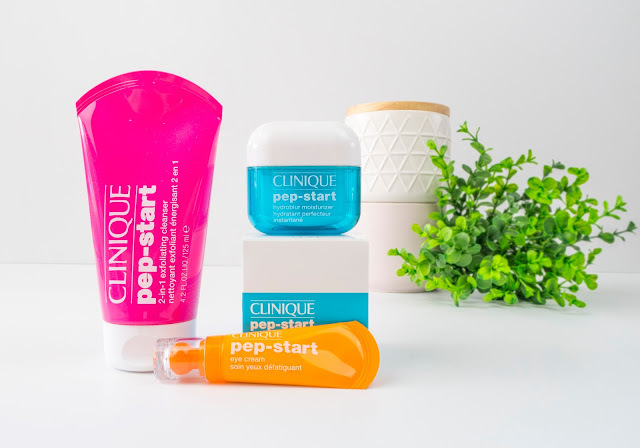 These products were my first introduction to Clinique and I'm really happy to have tried them. Though the Hydroblur wasn't for me, it works a dream for my sister so I'll be passing it on to her. The other two products are welcomed additions to my skincare routine. Do you have any recent skincare discoveries? Let me know, I'm always (sorry, wallet) looking to find something new. I swatched the moisturizer on the back of my hand once and it felt so nice. But I can see how it wouldn't work for dry-skin types. That's the worst when it balls up, ugh! 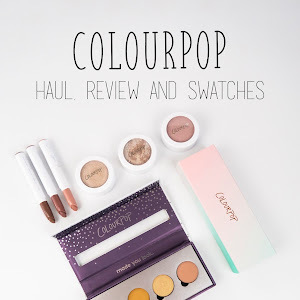 Great review - I love the bright colours of the range but they don't sound like they'd be great for my skin. I've used the Moisture Surge range by Clinique and it's amazing - if you don't have oily skin you might like it too. I've been wanting to try that range! I love keeping my skin hydrated. This packaging is so fresh and youthful! I'm almost ready to accept that the best they'll ever look is "only got four hours of sleep". I'm not quite ready to give up my search for a miracle though! Beautiful post! I loved your photos! I haven't tried any Clinique skincare for a long time. I am such a fan of their makeup though. Thank you! Trying these has really intrigued me to look into some of their other products. These aren't really targeted towards me and I still had pretty good results! It's my favourite of the three for sure! I've been using it in the shower and it's just so good. Thank you <3 I don't usually like them either, but this one is just lovely. This post is so interesting as I've never tried any of the Clinique skincare products! I do hear a lot of mixed reviews when it comes to them too. The cleanser sounds really nice, and I wish I could find an eye cream that actually reduces dark circles! I feel like they always claim to but never do which is a shame. I know, right! If there was something that actually made mine vanish I'd be all over it. These all sound amazing! I have a few samples of these products and I haven't used anything yet except for the eye cream but I really enjoyed it. Love the post! Love your photo's the give me life. I really want to try this range love skincare products that keep your skin hydrated. Such a lovely line :) Btw love your blog design and photos :) Everything is so pretty!